6 to 9-piece, male/female lead vocals, 2x1 hour or 1 x 90 minute sets. 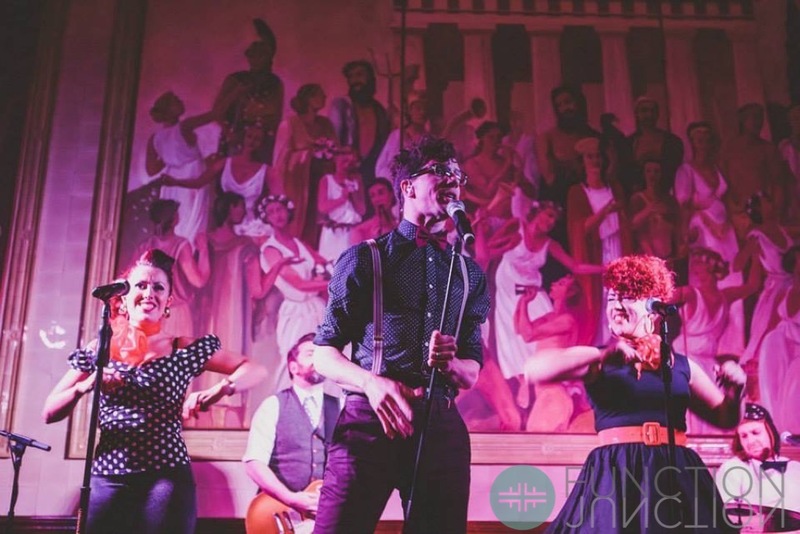 Tommy T and The Belle Tones are not just a band, but an energetic, spellbinding, slick-as-grease fully choreographed show that rocks, rolls, and fires up your soul! 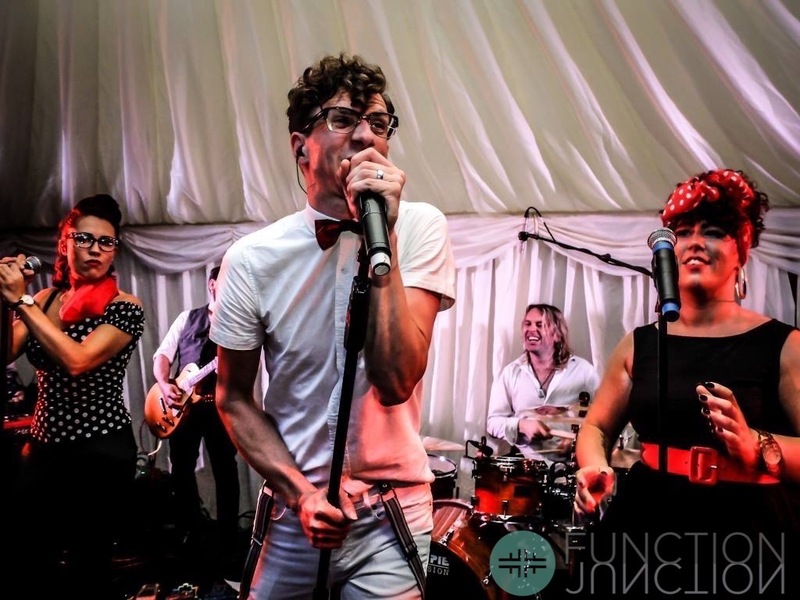 Their large eclectic repertoire spans many decades and styles including pop rock, R&B, Motown, soul, 80s smash hits and the latest music from the charts. From Diana Ross to Duffy this band appeal to all age groups from nine to ninety and beyond. 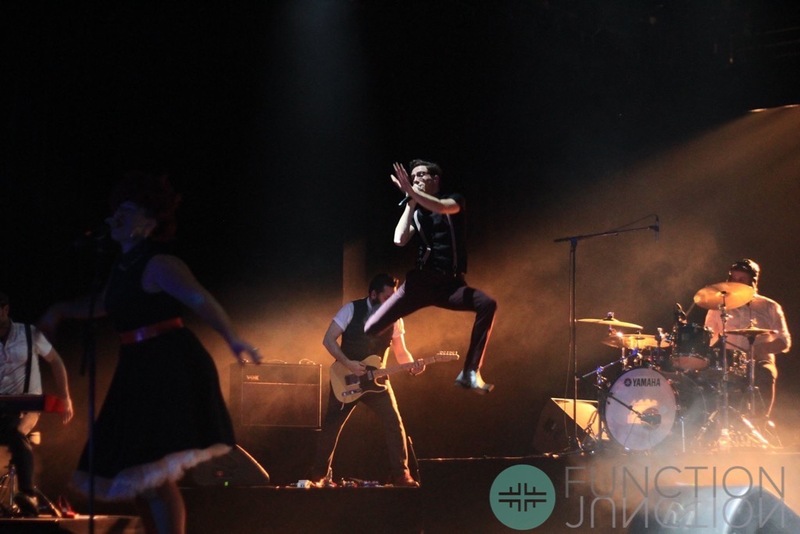 With three lead vocalists, (one male and two female,) backed by a top session band of drums, bass, keyboards, guitar and a two-piece brass section, this nine-piece band will set your night alight! Individual band members’ credits include working for Amy Winehouse, A-HA, Alexandra Burke, ACM Gospel Choir, Beverly Knight, Brian Eno, Katherine Jenkins, Cee Lo Green, Eric Clapton, Ed Harcourt, Enrique Iglesias, Gabrielle, Gareth Gates, Girls Aloud, Jason Donovan, Joss Stone, JLS, Kym Marsh, Kim Mayzelle, Lady Ga Ga, Lionel Richie, Lucie Silvas, Leon Jackson, Lemar, Leona Lewis, Marti Pellow (Wet Wet Wet), Ms Dynamite, Mica Paris, Nelly Furtado, Phil Collins, Pixie Lott, Peter Andre, Rachel Stevens, Randy Bachman, Russell Watson and The Saturdays. Band members have also appeared on many TV shows including, Later with Jools Holland, Top of the Pops, CDUK, This Morning, Des & Mel, Loose Women, Blue Peter, Popworld and GMTV; and played at venue’s such as Wembley Stadium, Wembley Arena, The O2, Party In The Park, Glastonbury, The Royal Albert Hall, Hammersmith Apollo, Cafe De Paris, Cafe Royale, The Dorchester, The Grosvenor House Hotel and The Royal Lancaster. Tommy T and The Belle Tones usually perform a straight 90 minute set without breaks or two one-hour sets. “Thank you so much for keeping us entertained and dancing all night long at the Woman’s Guild of Oman Crystal Ball in Muscat. Everybody was saying that Tommy T and the BelleTones were the best band they’d seen in years!! Please do pass on our sincerest thanks to the rest of the band” Judith Dodson - President of the Womans Guild of Oman. Wake Me Up (Before You Go Go) – Wham!